Summary: Brian D. Ray is the founder and current president of the National Home Education Research Institute. In this study he explores the academic achievement of Black homeschool students in grades 4 through 8 as well as their parents’ motivations for homeschooling. The rate of Black homeschoolers nearly doubled from 1999 to 2012, according to the National Center for Education Statistics. In that time, many Black parents became actively involved in the choice of their children’s school. 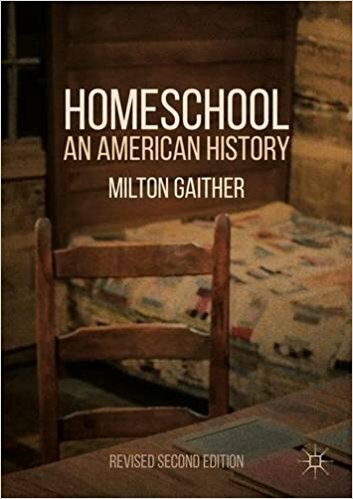 Ray ponders why so many African Americans are choosing homeschooling when they fought so hard to be mainstreamed into the public-school system. Summary: Van Pelt, who has published occasional studies of home education since 2003, is director of the Barbara Mitchell Center for Improvement in Education at theFraser Institute, a libertarian think-tank based in Canada with a long history of advocating market-based policies drawn from libertarian economists like Friedrich Hayek, Edwin G. West, and George Stigler. This report updates a 2007 update of the widely cited 2001 report the Fraser Institute published called Homeschooling: From the Extreme to the Mainstream. The 2001 report was written by Patrick Basham, who has since moved on to be a prominent voice at the Cato Institute, another libertarian think-tank based in the United States. Record: Brian D. Ray, “Homeschooling Associated with Beneficial Learner and Societal Outcomes but Educators Do Not Promote It” in Peabody Journal of Education 88, no. 3 (2013): 324-341.